St. Paul’s roof is leaking and is in desperate need of renovation. We have been raising funds to pay for this roof project for over five years. We have held a number of community events that have been very enjoyable and have helped to raise money including, the InUnison, Oktoberfest and Gemma Doyle concerts. The Christmas market has also been a popular event. We have also received generous gifts, donations and legacies that have enabled us to make progress towards our target. However, we are unable to start work on the roof until we have all the funds in place. Unfortunately, although we have made steady progress, we are still have a long way to go to reach our target. In recent weeks we have approached a number of different organisations to seek their support. I am pleased to report that three organisations have awarded us varying amounts of money for the project. 1) We have approached house building companies in the village, and have received a donation of £250 from Miller Homes who are currently developing the Blackfield Green site on Church Road. 2) We have received a grant from the Duchy of Lancaster Benevolent Fund. This award was for £1,000. This is a charity set up with the consent of Her Majesty The Queen to benefit causes primarily within the County Palatine. 3) We have also received a grant of £2,200 from Allchurches Trust which is one of the UK's largest grant-making charities and gave £15.6 million to churches, charities and communities in 2017. Its funds come from its ownership of the ‘Ecclesiastical Insurance Group’. These grants are in addition to an earlier grant from a local charity, the ‘George and Maisie Blackburn Fund’ (George’s Garage) who awarded us £5,000 last year. As a result the total for the grants that St. Paul’s roof fund has received, to date, stands at £8,450. A big Thank You to everyone who has supported us through either direct donations or by supporting our fundraising activies. There's plenty more to do and we will keep you updated on progress. 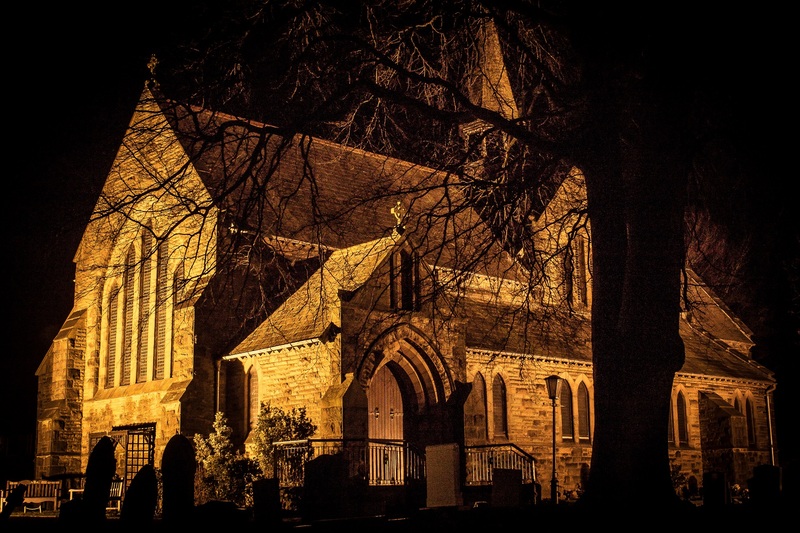 Recently a local amateur photographer sent us this fabulous night-time picture of our Church. We heard that you weren't feeling too good, so thought you might appreciate a smile. Anyhow, completely unrelated, you may remember that it snowed a few weeks ago, and after our chat about me wanting to get a long exposure photograph of the church, I considered it a great opportunity. I didn't get out of our house till quite late on, however, when I got to the church thee was a beautiful layer of snow on the ground, the roof, and a dusting on all the brickwork. The floodlights were lighting it up superbly, and the scene resembled the perfect Christmas scene for a Christmas card. You get the idea. I set up my tripod, correct lens on camera, ISO and aperture settings checked, lens cap off, remote shutter release in hand, I raise my thumb to depress the shutter......and........ YOUR FLOODLIGHTS TURNED OFF ! I now realise that they must be on a timer, and 10.30 pm is their time for switching off. So, I ventured out last night. No snow I'm afraid, however I got a shot which I quite like. And please feel free to put it on the website if you see fit. On a serious note, its a beautiful church, and I hope the pic does it justice. I hope to get some more soon, and would love to get some of the interior at some point. Whenever you want to purchase anything online please go to http://www.easyfundraising.org.uk/causes/stpaulspreston and not only will you get a great discount yourself but hundreds of companies will give money to Church. You can even help raise funds by using their search engine, for further details please contact Margaret Jacob on 01772 679665. If you have used EasyFundraising to make purchases that will benefit St. Paul's then let us know how the experience was for you by commenting below. 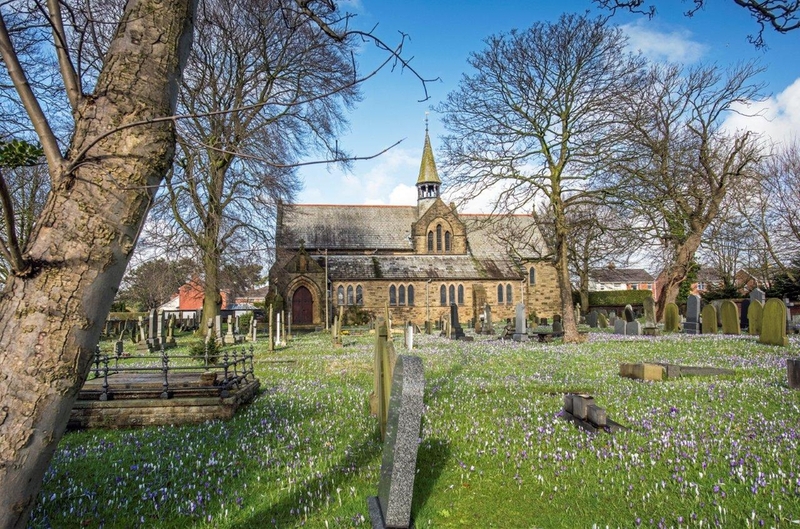 Please sign up to #easyfundraising and help us raise FREE funds for St Pauls Church Warton Preston when you’re doing your everyday shopping online. THIS IS FREE MONEY FOR US! Plus, when you raise your first £5, easyfundraising will match it!! This short video explains how simple it is and it doesn't cost you anything – http://efraising.org/cv1Wj5Bman.